We at Welchko Insurance Services help people protect their homes, their autos, their families and businesses by focusing on each client individually. We value you and strive to understand your situation, your needs and your budget. We work for you. As an independent agency, we have relationships with dozens of insurance companies, allowing you to get the right price with the right service. You come first in all our transactions. At Welchko, we work around your schedule. Make the latest changes to your policy directly from our website 24 hours a day, 7 days a week. Use any of our convenient forms for policy service directly from your home or office. Here you can get a quote, make a payment, use one of our helpful calculators and get the customer service you need. We stand ready to answer your questions and will gladly call you back any time, including weekends. 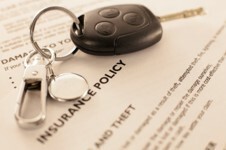 We can offer the right coverages with the personal touch you would expect from your neighborhood insurance agent. We specialize in providing insurance solutions that meets the needs of our individual clients in the Humble, Kingwood, Houston and surrounding areas and throughout Texas. You can contact us or visit our office for any further information.